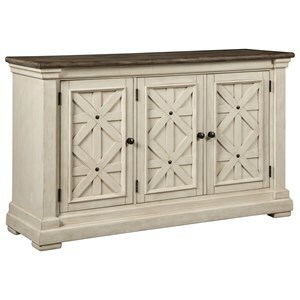 Complete the farmhouse, cottage look of your dining area when you add this server to your home. Behind the sliding barn doors is one adjustable shelf. 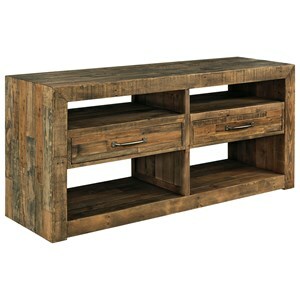 Both the lower shelf and two storage drawers feature wire mesh inlays, adding a rustic touch to this server. The Valebeck Dining Room Server with Sliding Barn Doors by Signature Design by Ashley at Miskelly Furniture in the Jackson, Pearl, Madison, Ridgeland, Flowood Mississippi area. Product availability may vary. Contact us for the most current availability on this product. 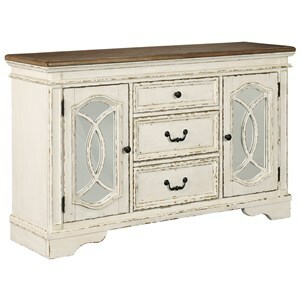 The Valebeck collection is a great option if you are looking for Relaxed Vintage Cottage furniture in the Jackson, Pearl, Madison, Ridgeland, Flowood Mississippi area. 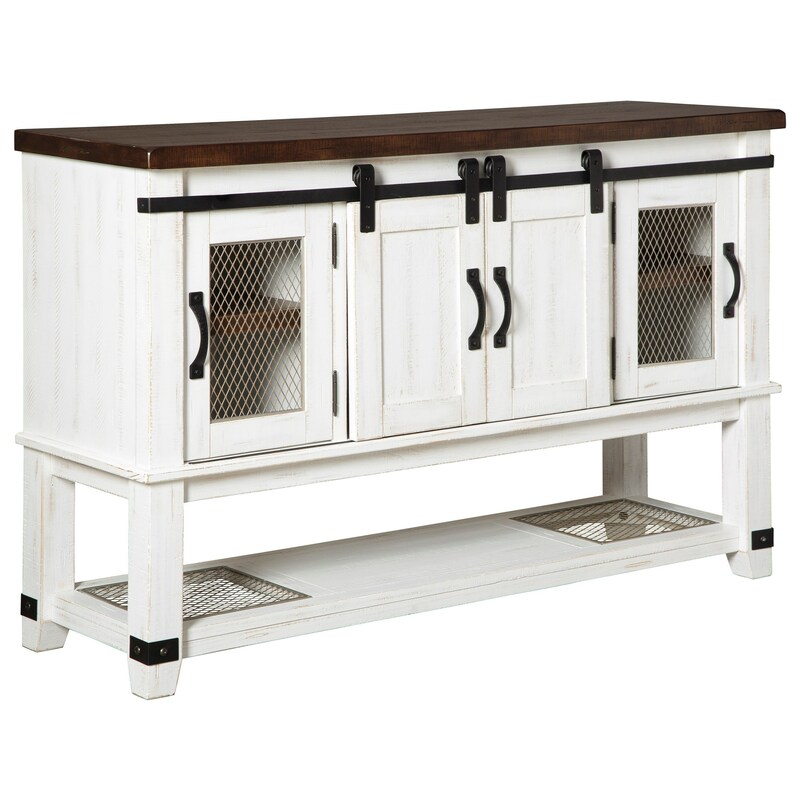 Browse other items in the Valebeck collection from Miskelly Furniture in the Jackson, Pearl, Madison, Ridgeland, Flowood Mississippi area.